Since opening in August 2001, Greenbacks Pawnshop has become one of the fastest growing Pawnshops in the Quinte area. They are locally owned with an amazing team of knowledgeable and professional staff at two locations—Belleville and Cobourg. Greenbacks Pawnshop is changing what it means to be a Pawnshop. They provide a family-friendly atmosphere in a welcoming, clean, and brightly-lit retail setting with thrift store pricing. Top quality merchandise at the lowest prices! Shop their well-organized departments of brand name, new and pre-owned musical instruments, jewellery, electronics, tech devices, cameras, video games and consoles, collectibles, movies, tools, and sporting goods. With hundreds of items coming through weekly, Greenbacks’ inventory is updating and changing daily—stop in often, online or in-store, as you never know what you will find. 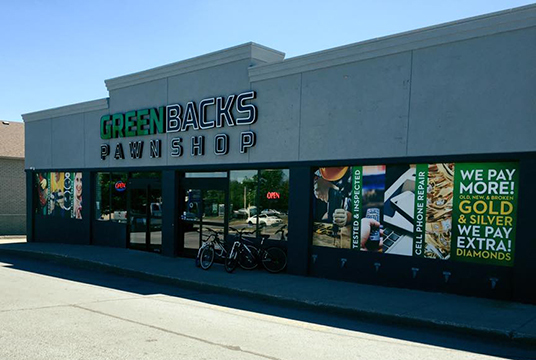 Greenbacks Pawnshop sets themselves apart from the rest with their high standard in customer service, knowledgeable team, discount pricing, and peace-of-mind options such as their layaway program, and store-wide 30-day warranty. Come in today, and talk one-on-one with any of Greenbacks’ staff to receive professional advice and assistance on items throughout the store, gold & silver buying, pawn loans, jewellery, tech (cell phone/computer/tablet) repair, buying, and trading. Everything you need under one roof. Greenbacks Pawnshop relies on the community, and the community can rely on Greenbacks. Greenbacks has been involved with the community for many years, and continues to sponsor great causes such as local events, cancer research, back-to-school programs, and local youth sports. 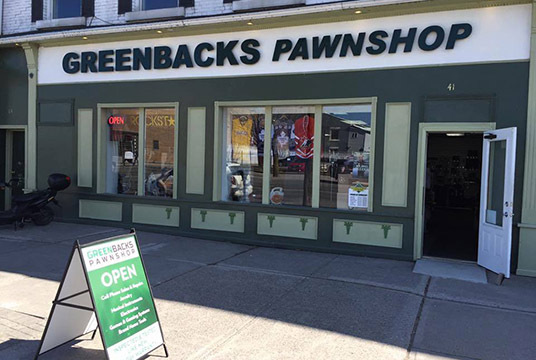 Greenbacks Pawnshop are proud of the products they sell (musical instruments, jewellery, electronics, tech devices, video games and consoles, movies, power tools, collectibles, sporting goods, and so much more), and the excellent services they provide (gold & silver buying, tech device repair, pawn loans, and buying). Greenbacks Pawnshop prices are up to 60% lower compared to buying the same quality brand name merchandise at well-known retail or specialty stores. Shopping at Greenbacks is an easy and affordable choice to make. Everything you need under one roof. Save money and the Planet! Greenbacks Pawnshop’s business model of buying, selling, trading, and repairing gives the local community a smarter and greener way to shop by keeping millions of kilograms of usable items out of our landfills each year. 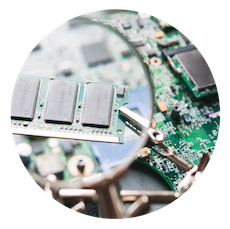 By purchasing pre-owned items from Greenbacks Pawnshop, you are eliminating the excess waste created by the production of new merchandise, as well as helping reduce the environmental impact created by e-waste. • purchase quality brand name merchandise at the lowest prices. • sell your gold and unwanted items for the most cash. 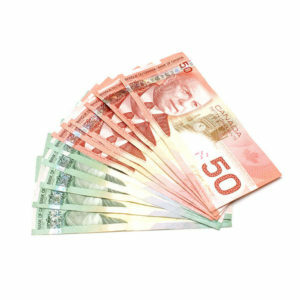 • receive quick and easy pawn loans when you need it. Greenbacks Pawnshop is always here for you. Meet the Greenbacks Pawnshop team. Their professional staff are leaders in customer service, and continually set the bar higher. When it comes to buying and selling, you want someone who understands the product and knows the value. 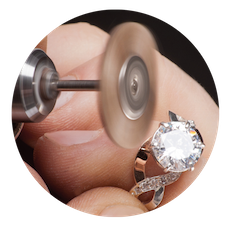 Their team has real world experience, and the knowledge to properly assist, advise, and appraise your items. Greenbacks Pawnshop is always here for you!